We believe it is our responsibility to agriculture and our communities to help growers, both in and out of the field. That’s why we teamed with the Potato Council to help growers gain key insights into their customers through new research. Recent consumer potato consumption trends point to significant growth opportunities for the U.S. potato industry, according to new research unveiled yesterday at POTATO EXPO 2013. The research, conducted by Datassential, a leading food industry market research firm, and sponsored by Bayer CropScience, shows that nearly half (43 percent) of consumers surveyed report they increased their potato consumption last year. Forty-six percent report eating potatoes several times per week at home or away from home, with 14 percent eating potatoes daily or more than once a day. These and other insights were released by Datassential Director Maeve Webster. Late last year, the firm fielded proprietary research into trends impacting potato consumption on behalf of the National Potato Council (NPC) and Bayer CropScience. Bayer CropScience is teaming up with the Council to provide tools and support that will help potato growers and others within the industry improve their business by understanding and connecting with key stakeholders, such as consumers and food-industry operators. According to the research, consumers most often eat fries (57 percent), followed by mashed potatoes (42 percent) and baked potatoes (37 percent). In the future, consumers expect to order more baked potatoes when dining out (33 percent), followed by orders of fries, sweet potato fries and oven roasted/baked sweet potatoes, all at 30 percent. In restaurants, consumers would like to see potatoes more often as a side plated with an entrée (65 percent). Other areas for growth on the menu include as a main ingredient in appetizers (46 percent), as an à la carte side (44 percent) or as an ingredient in beef entrees and in breakfast entrees, both at 43 percent. Food-service operators indicated the potato items most likely to be added to menus include sweet potato fries (17 percent), baked sweet potatoes (16 percent) and mashed sweet potatoes (15 percent). Items already offered that are most likely to have an increased presence on menus were oven baked/roasted potatoes (36 percent), baked potatoes (33 percent) and regular fries (30 percent). Webster’s presentation at POTATO EXPO 2013, the largest annual gathering of the U.S. potato industry, followed another Bayer CropScience-sponsored event—social media training for the potato industry and a panel discussion by growers who use social media to enhance relationships and drive sales. Bayer CropScience’s commitment to sustainability begins at home, where it develops people and enriches communities, and extends around the world helping farmers address their greatest challenges in an environmentally responsible manner. Bayer CropScience believes greater food security creates healthier people and communities. For additional information and background on Bayer CropScience and its other programs, please visit http://www.bayercropscience.us/our-commitment/bayer-initiatives. POTATO EXPO is the largest annual conference and tradeshow for the potato industry held in North America. POTATO EXPO offers educational programming covering the top issues facing the potato industry, provides countless networking opportunities with key decision makers, and showcases the latest products and services for potato production and distribution. For more information, visit http://www.POTATO-EXPO.com. 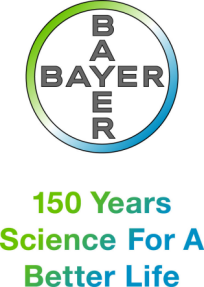 Bayer is a global enterprise with core competencies in the fields of health care, agriculture and high-tech materials. Bayer CropScience, the subgroup of Bayer AG responsible for the agricultural business, has annual sales of EUR 7.255 billion (2011) and is one of the world’s leading innovative crop science companies in the areas of seeds, crop protection and non-agricultural pest control. The company offers an outstanding range of products including high value seeds and, innovative crop protection solutions based on chemical and biological modes of action as well as an extensive service backup for modern, sustainable agriculture. In the area of non-agricultural applications, Bayer CropScience has a broad portfolio of products and services to control pests from home and garden to forestry applications. The company has a global workforce of 21,000 and is represented in more than 120 countries. This and further news is available at: http://www.press.bayercropscience.com. Find more information at http://www.bayercropscience.us. This release may contain forward-looking statements based on current assumptions and forecasts made by Bayer Group or subgroup management. Various known and unknown risks, uncertainties and other factors could lead to material differences between the actual future results, financial situation, development or performance of the company and the estimates given here. These factors include those discussed in Bayer’s public reports, which are available on the Bayer website at http://www.bayer.com. The company assumes no liability whatsoever to update these forward-looking statements or to conform them to future events or developments. ©2013 Bayer CropScience LP, 2 T.W. Alexander Drive, Research Triangle Park, NC 27709. Always read and follow label instructions. Bayer® and the Bayer Cross® are trademarks of Bayer. For additional product information call toll-free 1-866-99-BAYER (1-866-992-2937) or visit our website at http://www.BayerCropScience.us.